Leaders focused on fostering collaborative efforts to be catalysts for improving economic prosperity, education, and quality of life for a thriving Middle Georgia. 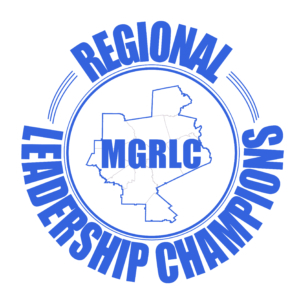 The Middle Georgia Regional Commission is accepting applications for the 2019 Middle Georgia Regional Leadership Champions (MGRLC) program. This program is a collaborative effort of the Middle Georgia Regional Commission, in partnership with the University of Georgia’s J.W. Fanning Institute for Leadership Development. The program is designed to bring together a diverse group of stakeholders from across Middle Georgia to develop enhanced leadership capacity within the region and actively shape the future vision of a thriving Middle Georgia. The Middle Georgia Regional Leadership Champions program offers an advanced, one-of-a-kind leadership development opportunity which will facilitate both individual and regional competencies around strategic goals and priorities. Originally started in 2015, the MGRLC program is now welcoming its third class of community leaders. Participants will play a vital part in establishing a foundation for the region to collectively respond to and prepare for future growth needs and challenges. In 2018, the program received the Innovation in Community Leadership Award from the J.W. Fanning Institute. The Middle Georgia Regional Commission is dedicated to ensuring that this class of regional champions is full of emerging, dedicated leaders who are committed to building a stronger Middle Georgia. The program is open to individuals who are at least 21 years of age and reside or work in one of the following Middle Georgia counties: Baldwin, Crawford, Houston, Jones, Macon-Bibb, Monroe, Peach, Putnam, Pulaski, Twiggs or Wilkinson. Applications for the 2019 Middle Georgia Regional Leadership Champions program are currently available HERE and are due by December 14, 2018.